Nifty and Bank Nifty futures turned to hourly charts on 4th march onwards currently the support zone comes around 6499 and 11925 respectively. Reverse the position to sell mode if the support zone breaks on EOD basis. 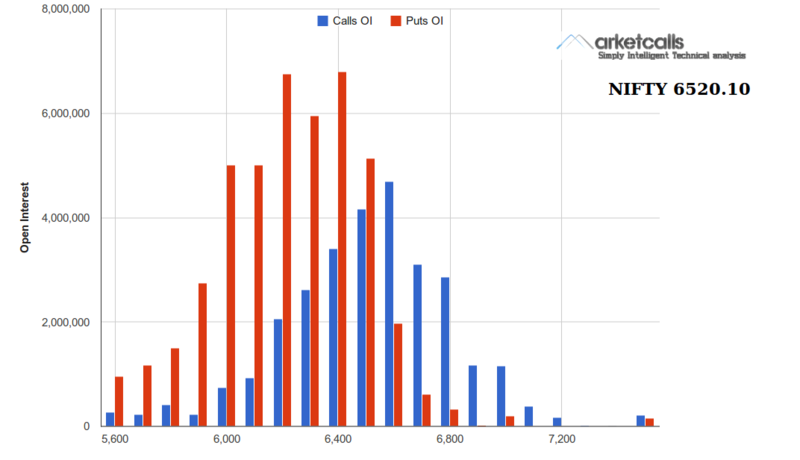 Nifty Options Open Interest Tracker for March option series shows 6200PE and 6400PE shown highest and almost equal amount of open interest builtup for this series. PE Writers are not much confident as Februrary Series. However considerable amount of Open Interest Builtup in 6200PE,6300PE,6400PE.